Technology is slowly and steadily making a foray in education. Knowledge is no more limited to books and the use of platforms such as websites, apps, videos, live chats, etc., have taken it to another level. 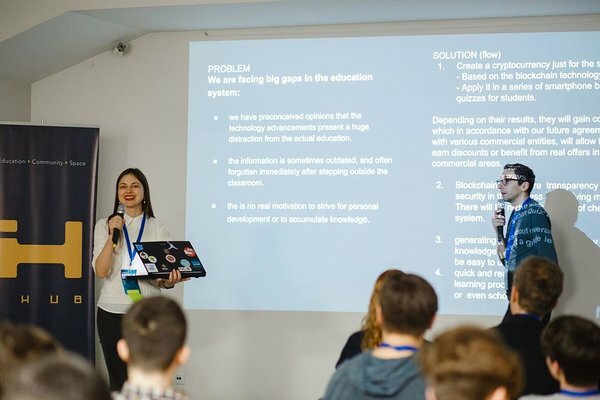 Garage48 Edtech 2018 hackathon in Chișinău kicked-off on the 23 of February in the capital of Moldova to bravely look for new ideas that would improve the conventional teaching practices. More than 30 eager innovators joined the opening event and brought various ideas to the stage. The aim of all the participants in the next 2 days would be to come up with new ideas on this topic and propose solutions and tools on how to best involve machine learning, AR and VR into the classroom; how to put big and small data work for learning and teaching; why is understanding digital literacy and -citizenship important and how to involve gamification in this topic. There were 11 ideas pitched from which 6 teams were formed. Meet the teams! An application that will show the real world usage of subjects using machine learning. What subjects are relevant in the real world. Relevant subject ML. Create a cryptocurrency just for the schools. Based on BC technology. Apply it in a series of smartphone-based quizzes for the student. zDOS.py want to make an app where children can solve problems online. For every resolved problem they will get points. P2P is a correction gaming platform where users can rate each others school-work. Participation will earn points that you can use to pass an exam.The platform would further help teachers by letting them skip grading homework. Kits for Kids represents a kinetic input to learning. PNP hardware kit for teachers to help gamification. Raspberry PI based. Codex is an AR and machine learning for teaching math. Before getting to the final stage, the teams would face 48 intensive and fun hours during which they will passionately develop their ideas! You can also check the teams on our FB page later today and vote for your favourite of the Audience by hitting the "like" button. Additionally, we will be broadcasting their final pitches LIVE on Sunday, 25.02 at 5.30PM on our Facebook page. Don't miss the chance to hear their Edtech ideas! 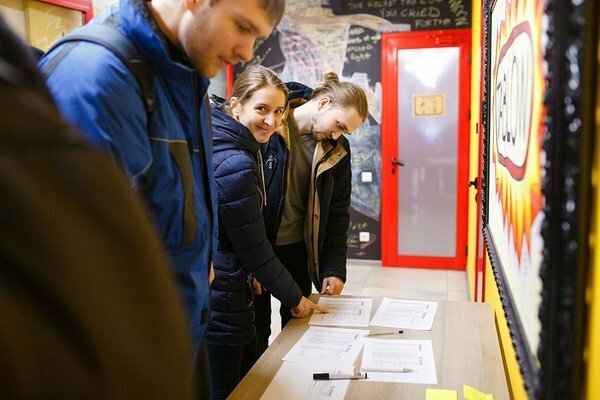 Garage48 EdTech Moldova 2018 development weekend is co-organised with CIVITTA Moldova under the auspices of Estonian Ministry of Foreign Affairs and Estonian Development Cooperation.